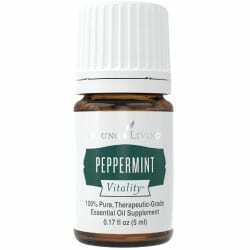 Peppermint Vitality Essential Oil, 5 ml has a strong, clean, fresh, minty aroma. Peppermint Vitality essential oil has a bright, cool flavor, with benefits that include gastrointestinal comfort and normal digestion support, in addition to its great taste. * Store Young Living’s Peppermint Vitality oil in your pantry as a flavoring agent or a dietary supplement, or use as a dietary supplement may support exercise performance to help you have a great workout. Young Living’s peppermint oil (Mentha piperita) is a must-have for every home and is the ideal essential oil for pampering! Young Living’s peppermint is one of our most versatile oils. Elemi Essential Oil, 15 ml.